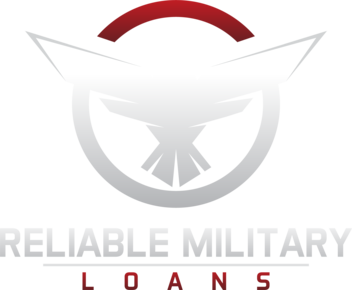 This website www.reliablemilitaryloans.com (Reliable Military Loans, Site) is being operated by Fortune Capital Enterprises, LLC, which is located in Atlanta, Georgia. Fortune Capital Enterprises, LLC (Fortune Enterprises, the Company, we, us, our) offers an online platform for service members, retired veterans, reservists, and their families, and help them find suitable loans or financial services so that they can build a better future for themselves and their loved ones. When you enter this agreement, it shall be deemed that you have attained the age of legal maturity in your jurisdiction and otherwise competent to enter this agreement. If you are entering this agreement on behalf of your friend, family, or another third party, it shall be deemed that you are fully authorized to represent the respective friend, family, or third party, and if you are not, take your personal responsibility to fulfill all your obligations and liabilities that may possibly arise in relation to such unauthorized representation or disclosure of their personal information. Fortune Enterprises reserves a right to determine the process, procedures, policies, and guidelines (collectively policies and guidelines) for using the Services. We may restrict certain features, services, or portions of this website for paid subscribers or users who meet certain eligibility criteria. You shall comply with all such policies and guidelines with regard to your use of the Services on this website. The Service is intended for service members, retired veterans, reservists, and their families in the United States, but it shall be your responsibility to ensure that you can access this website and use the Services in your jurisdiction without violating any local, state, federal, or international laws and embargos for being resident of any jurisdiction or listed on any governmental list of prohibited parties. Fortune Capital Enterprises, LLC reserves a right to monitor and record your activities on this website, but shall have on obligations with regard to such monitoring. However, if we find out that you are involved in any unlawful or unauthorized activity, we may prevent you from using the Services any further, and disclose any record, communication, personal identity, information or content to the relevant authorities/third parties in our sole discretion. This website, its content, features, and functionality, including but not limited to icons, logos, trademarks, service marks, texts, images, graphics, videos, audios, page headers, scripts, applications, services, service names, designs, descriptions, presentations, and contained intellectual property or proprietary rights are exclusive or non-exclusive property of Fortune Capital Enterprises, LLC, fully protected under the copyrights and trademark laws of the United States and relevant international conventions. Copyrights © 2016 Fortune Capital Enterprises, LLC. All rights reserved. You may access or download any content made available on this website for personal use, including the product information and resources being made available to promote your financial stability, but this limited license shall never confer you any rights to our copyrighted content on this website. You are not allowed to systematically retrieve, extract, copy, edit, modify, alter, sell, lease, reproduce, redistribute, publish, or otherwise commercially exploit any copyrighted material or content, in whole or parts thereof, unless you have obtained a written permission from Fortune Capital Enterprises, LLC or respective copyright owners, as the case may be. You should never edit, alter, or remove the logos, trademarks, copyrights, or other proprietary notices from the accessed or downloaded content. Please acknowledge that certain features or services on this website may require you to register/subscribe by submitting your name, contact number, email address, credit details, or other information related to your personal, professional, or demographic profile before you can request any product or service being offered on this website. Your registration or service request shall be subject to screening and approval by Fortune Capital Enterprises, LLC. When you submit your profile, preferences, or requirements for a loan, it shall be deemed that submitted information is correct, current and complete. However, you are not allowed to create and operate more than one active account on this website. Using multiple accounts/credentials or fabricated identity shall be deemed as a material breach of this agreement. We reserve a right to suspend/terminate such accounts and prevent any further use of the Services until any such breach is corrected. You shall be responsible for keeping your login information secure, and liable for all activities under your account/credentials. Fortune Capital Enterprises, LLC shall be entitled to disable any username, password, or other identifiers and prevent your access to the Services at any time and in its sole discretion. We shall have no obligation to disclose the reasons for such restrictions, even when your account is restricted due to any breach of this agreement. All content and resources being offered or made available on this website shall be used for informational purpose only. We do not provide any guarantee that the products or resources to promote your financial stability will actually suit your needs, preferences, or expectations. You should apply your prudence before relying on any information or using any personal military loans, bad credit loans, debt consolidation loans, VA home loans, or resources being made available on this website. Please acknowledge that Fortune Capital Enterprises, LLC is not providing any kinds of military loans. Reliable Military Loans is not affiliated with the Department of Defense or any branch of the United States military. We are merely providing an online platform to help you find the most suitable financial services as per your needs and preferences. The financial products and services being offered on this website are actually made available by third party lenders and financial institutions (collectively independent lenders) that shall be deemed as independent entities. Fortune Capital Enterprises, LLC shall never be a party to your business relationship with such independent entities. Once you enter a business relationship with such third parties, all support and services will be provided by the respective lender. You shall make any further service request and/or resolve all your disputes by directly communicating/negotiating with the respective service providers. Fortune Capital Enterprises, LLC will have no obligations to extend help and support or resolve disputes, but we may offer certain mediation services at our sole discretion to help you resolve your disputes with independent lenders. The Services on this website, including but not limited to personal military loans, bad credit loans, debt consolidation loans, VA home loans, or resources shall be subject to the terms and conditions of the respective providers. We highly recommend that you should carefully review the terms and conditions of such third parties before taking any loan or entering a business relationship with them. Please acknowledge that certain features or services on this website are subject to rules and regulations, policies, guidelines, end-user licenses and additional agreements, which shall be deemed as incorporated into this agreement by reference. The Services on this website are subject to change at any time. We reserve a right to add, remove, change, modify, suspend, or permanently terminate any feature or service on this website in its sole discretion and without any prior notice. We do not make any claim or undertaking that any loan offers or financial service being made available on this website will remain available in the future. Using any systematic or aggregation tools or technologies to extract/retrieve any information, collection, compilation, database, directory, source codes, algorithms, business methodology, or systems being used on the website. Using the resources on the website for promoting your own products, services, or business, or engaging in activities that amount to a commercial solicitation or exploitation of our resources or the website. Submitting, sharing, or transmitting any content unless you are duly permitted or authorized to do so. You are not allowed to post or share anything that is unlawful, harmful, hateful, tortuous, libelous, abusive, harassing, threatening, defamatory, pornographic, obscene, vulgar, or otherwise objectionable. Violating copyrights, trademarks, or other proprietary rights of Fortune Capital Enterprises, LLC or other third parties, including its partners, service providers, and participating lenders and financial institutions. Impersonating or misrepresenting your affiliation with any person or entity, or attempting to obtain any loan by providing false, misleading or deceptive information. Stalking other users, phishing personal information, attempting to gain access to user data or compilations on this website, or linking to any malicious or attacking page. Sending unsolicited commercial messages and emails or spamming others with unethical/illegal statements, reviews, or information. Submitting, sharing, or transmitting any content that carries or designed to facilitate the spreading of viruses and malicious codes. Using any tool and technique to send encrypted/anonymous messages, material or content, or involving in any activity that negatively affects our reputation or prevents other users from obtaining any loan product or using the Services on this website. Abusing any feature, service, application, system tool, and content, or engaging in activities that compromise the safety and security, hamper the connected networks, or interfere with the proper functioning of this website. Launching a denial of service attack, or using any tool or technique to probe, scan, or test any vulnerability of our system or network or disobey any requirement, procedure, or network regulation to breach or circumvent the authentication protocols and/or disrupt our services. Gaining unauthorized access to otherwise restricted features, services, or portions of this website or engaging in activities that amount to modifying, reformatting, reconstructing, recompiling, reproducing, republishing, or redistributing our database, compilations, services or other content for creating a derivative work or launching similar services. Your involvement in such prohibited activities on this website shall be deemed as a material breach of this agreement. When you post, publish, share, or otherwise transmit any content through this website, including but not limited to your personal profile, queries and concerns, preferred loan products, or related views, reviews, comments, feedback, suggestions, recommendations or information (collectively User Submissions), it shall be deemed that you have all the rights and authorizations to post, publish, share, or transmit such submissions. You shall never violate any third party copyrights or intellectual property on this website. If you do so, you shall be solely liable for what you post, publish, share, or transmit through this website and resulting liabilities for such infringements. Fortune Capital Enterprises, LLC shall be entitled to a non-exclusive, yet perpetual, irrevocable, worldwide, royalty-free and sub-licensable right to your submissions on its blogs, forums, social media or other publicly accessible areas of this website or the websites of its collaborating partners. You shall ensure that you have all the rights and authority to grant this license over your submissions and entitle Fortune Capital Enterprises, LLC to edit, modify, translate, duplicate, reproduce, publish, transmit, distribute, share, or use your submitted content, in any media or manner, for promoting its business. Please acknowledge and consent that your queries and concerns, ideas, suggestions, feedbacks, preferred loan products and related information (collectively Feedback) shall be deemed as non-confidential information that can be disseminated in any media or manner to be used for commercial or non-commercial purposes. Fortune Capital Enterprises, LLC will have no obligations to send any prior notice, ask your permission, or pay compensation for using any intellectual property contained in such Feedback. Fortune Capital Enterprises, LLC shall not be liable to you or any third party for User Submissions on this website, regardless of its misleading, inaccurate, untrue, fraudulent, defamatory, offensive or inappropriate content. We reserve a right to refuse, edit, or remove any infringing, unlawful, inappropriate, or otherwise objectionable content from this website, but such corrections will take place only when we become aware of any infringing content or breach of this agreement. Learn about our Apple iPhone 10 Sweepstakes should you choose to participate. Non-compliance with the applicable laws or violation of this agreement. Impersonating others, creating a fake account or submitting false, fabricated, misleading, inaccurate, or incomplete information to request any loan product or using the Services on this website. Suspected abuse of the Services or use of the resources/platform for any fraudulent or unlawful activities/purposes. Use of the Services in a manner that is likely to prevent others from using the Services on this website or infringes upon their rights, including their intellectual properties or rights of privacy or publicity. Use of the Services and related acts and omissions that are likely to cause or lead to any legal implication to you or harm our business interests. Such suspension/termination is required by any law enforcement or other governmental entities. Prolonged inactivity on the Site and Services. You may also terminate this agreement at any time and stop using the Services, but any termination of this agreement will have no impact on your pending obligations. If your account is restricted, suspended, or terminated due to any reasons, you shall still be liable to pay all your pending bills in relation to your use of the Services or activities on this website. Use of the Site, Services, or content, including your reliance on any information, requirements, leads, testimonials, reviews, advice, suggestions, or recommendations being made available on this website. Misuse of the Site and Services, whether committed by you or any other third party on your behalf. Non-compliance with the applicable laws, or any violation of your agreement with the Fortune Capital Enterprises, LLC, including the policies, guidelines, notices, or communications displayed on this website or accessible through a linked website. Breach of any warranties, undertakings, representations, consent, acknowledgment, covenants, or obligations under this agreement or resulting from your use of loan products or services being offered on this website. Infringement of third party rights, including any patents, copyrights, intellectual property, trade secrets, or rights of privacy or publicity. Submitted content on this website, including any defamatory, offensive, or illicit material posted or otherwise transmitted through this website. Other acts and omissions, including but not limited to fake accounts, more than one account, multiple users, misrepresentations, or unauthorized activities on this website. Your obligations arising from this section shall survive any termination of this agreement. Fortune Capital Enterprises, LLC shall be entitled to assume the exclusive defense of any subject matter under your indemnification and receive full reimbursement of expenses incurred in asserting available defenses or rectifying the damages. Fortune Capital Enterprises, LLC disclaims all warranties, conditions, covenants, assurances, undertakings, or representations to the maximum extent permissible under the applicable laws. The military loan products and services are being offered as-is, where-is, where available, and when available basis, without any warranties, whatsoever. You shall use the Services at your own risks and discretion. The content on this website or any linked website, including the views, reviews, testimonials, descriptions, information, opinion, advice, suggestions, statements, or recommendations will be accurate, authentic, relevant, reliable, complete, correct, timely, or available when you need it. The Services on this website or any linked website will be free from errors and omissions, infringements, interruptions, viruses, or malicious codes, and any or all such occurrences will be restored or corrected immediately. The Services on this website or any linked website will be available all the times. Please acknowledge that the Services may be interrupted, disrupted, suspended, or terminated due to technical limitations, maintenance requirements, non-performance of service providers, and force majeure events or circumstances beyond our reasonable control. We hereby disclaim all warranties, whether express or implied, with regard to the accuracy, authenticity, reliability, availability, merchantability, non-infringement, security, fitness for a particular purpose, or suitability of the Services as per your requirements or expectations. The employees and representatives of Fortune Capital Enterprises, LLC are not authorized to make any such claims. Fortune Capital Enterprises, LLC does not endorse, recommend, or renounce any product, service, or content on this website or made available on/through a linked website, and shall not be responsible for accuracy, reliability, or suitability of such content, product, service, material, information, opinions, or statements being featured or made available on/through this website. Fortune Capital Enterprises, LLC shall never be a party to your relationship with a third party or independent lenders on this platform. Featuring third party logos, trademarks, service marks or content does not mean that we are affiliated with such business entities or independent lenders who may facilitate or extend any such loan products or credit line to you. Fortune Capital Enterprises, LLC shall not be liable for any direct, indirect, incidental, consequential, punitive, special, or exemplary damages, including any loss of actual or potential business, revenue, cost savings, profits, goodwill, credibility, peace of mind, financial insecurity, or other intangible damages that may arise in relation to (1) your inability to access or use the Services being offered or made available on this website, (2) escalated cost of obtaining loans or extending any line of credit from alternate sources, (3) purchase or use of any product or service being featured/promoted on this website or a linked website, (4), any damage to person or property, including but not limited to poor credit rating, financial insecurity, or bankruptcy due to such loans, (5) unauthorized access to your account, or misuse of your personal identity and information on this website, (6) activities or statements of other users, independent lenders, financial service providers, or other third parties, including any infringement/violation of third party rights, or claims by such third parties that they are entitled to any kinds of indemnification against claims, demands, or rights asserted by third party claimants, (7) any disruption, interruption, suspension, or termination of the Services due to technical problems, maintenance requirements, non-performance of service providers, unforeseen circumstances, or change in the Services, (8) any other matter related to your use of loan products and services on this website, irrespective of the fact that such liabilities occur due to any negligence of duty, misrepresentation, torts, unauthorized access, delays in operation, non-performance, interruptions, loss of data, errors, omissions, or breach of contract by Fortune Capital Enterprises, LLC, and the possibility of such liabilities were already conveyed to it. These limitations will apply to the extent any such exclusion of incidental or consequential damages is permitted in your jurisdiction. In any case, the total liability of Fortune Capital Enterprises, LLC from negligence of statutory duty, misrepresentation, non-performance, tort, breach of contract, restitution, or otherwise, shall never exceed the total amount that you paid for obtaining any product/service, or servicing any line of credit extended on/through this website or the maximum amount permitted under the applicable laws, whichever is less. This website may contain links or ads to third party websites, services, or content. Such links may be included to help you manage unforeseen financial contingencies, find the best loan products suitable to your requirements, and make well-informed buying decisions to ensure your financial stability. Please acknowledge that third party website, services, or content is governed by the terms and policies of their respective providers to which we have no control. Providing access to linked Sites shall never be deemed as our endorsement, authorization, affiliation, recommendation, sponsorship, or approval of any loan product, service, or content, including the views, reviews, testimonials, advice, suggestions, and recommendations featured on third party websites or made available on this website (collectively linked Sites). Fortune Capital Enterprises, LLC shall not be liable for any claims, damages, liabilities, or consequences in relation to your access, reliance, or use of linked Sites or any product, service, information, or content featured on such sites. You shall use the linked Sites at your own risk and discretion. If any party files lawsuits or initiates any action or proceedings, the prevailing party will be entitled to recover reasonable legal expenses incurred in the prosecution or defense of such actions or proceedings, including bankruptcy case or proceeding (as fixed by the trial, bankruptcy, or appellate courts). If any provision of this agreement is declared null and void by the courts or becomes unenforceable due to any reasons, the affected provision shall be severed and the remainder agreement shall continue to be binding and enforceable without any regard to the invalid or severed portions. All users, business entities, service providers, and third-party lenders who extend their credit facility or provide the products and services listed on this website shall be deemed as independent entities. Such third parties or the users of this website are not permitted to enter a binding agreement or create/assume any obligation on behalf of any other party. Nothing on this website or communications with the support staff, whether written or oral, shall create or deemed to have created any kinds of partnership, joint venture, franchise, principal-agent, or employer-employee relationship between Fortune Capital Enterprises, LLC and such independent entities on this website. Please acknowledge that Reliable Military Loans is not affiliated with the Department of Defense or any branch of the United States military. Fortune Capital Enterprises, LLC may assign its rights, interests, titles, benefits, duties, and obligations to any third party lender, service provider, or business entity, and collaborate with them in relation to the products and services being offered or made available on this website. This agreement shall be binding on and inure to your beneficiary, successors, assignees, and legal representatives, but unless otherwise expressly consented by Fortune Enterprises, you may not assign, transfer, convey, or encumber your rights, duties, and obligations under this agreement. We may withhold such requests in our sole discretion. If Fortune Capital Enterprises, LLC is unable to enforce this agreement or ignores any non-compliance of these provisions due to specific circumstances, it shall not be deemed as a waiver of its legal rights and remedies with respect your subsequent non-compliance, breach, or violation of this agreement. A printed version of this agreement or other electronically delivered notices, declarations, and communications with regard to this agreement or the Services being offered on this website shall be admissible in administrative or judicial proceedings to the same extent and subject to the same conditions as other business documents or records, originally generated and maintained in printed form, are admissible under the applicable laws. Fortune Enterprises reserves a right to modify or replace this agreement in its sole discretion. If any such modification takes place due to changing business requirements or otherwise, we will publish an update notification on this Page, send alerts at your registered email address, or take other commercially reasonable efforts to inform you about the changes in this agreement. Please regularly visit this Page to stay updated. We will provide a reasonable notification period for such modifications in this agreement unless immediate changes are required due to any business or legal obligations. Once the notification period is over, the modified agreement will replace and supersede your entire understanding and agreement with Fortune Capital Enterprises, LLC. Continued access to this online platform or use of any service being offered on this website shall be deemed as your consent to accept and abide by the modified agreement. If you have any questions, concerns, or privacy issues on this website, please write to our support team at info@reliablemilitaryloans.com or use our online contact form.